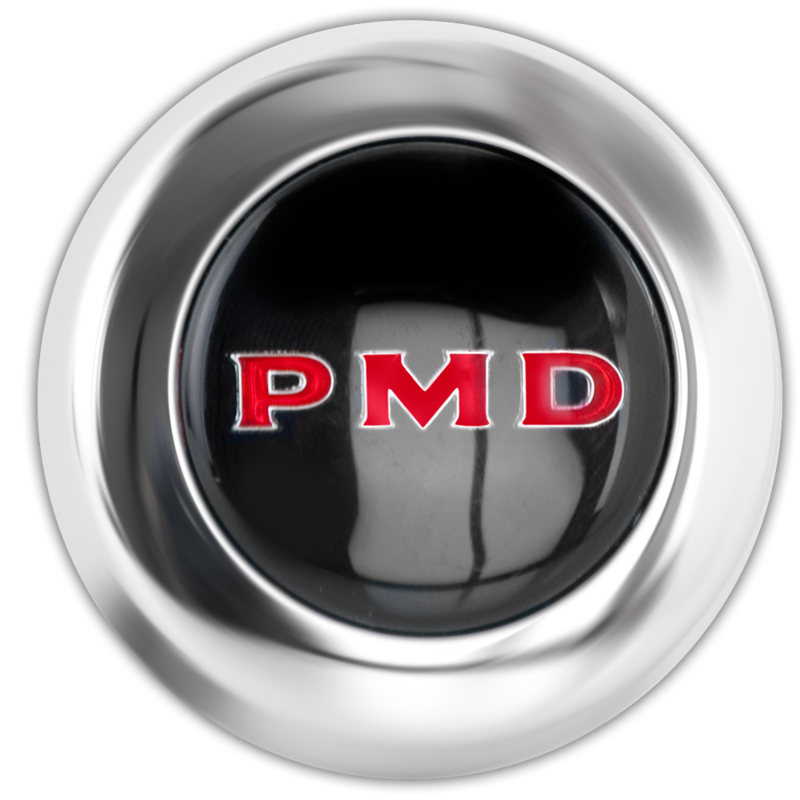 This is a Black PMD Pontiac Rallye II center cap. This Pontiac hubcap features the Pontiac Motor Division acronym in red letters on a black background. 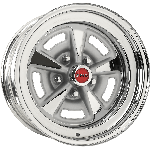 These black PMD Pontiac center caps fit our Pontiac Style Rallye II wheel, all sizes. Please check your actual wheels required cap fitment size. This is a bolt-on style center cap. 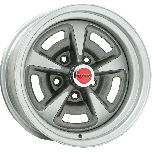 A bolt-on cap can usually be used on a wheel that has previously had spring mounted caps. You are also welcome to order one to test-fit. If it does not work, you may return as long as it is in like-new condition. Does bolt on cap include hardware? Yes, the mounting hardware is included with these caps.